UPDATE | Long Beach Police Department (LBPD) Detectives today released the identity of a man suspected of stealing five exotic birds from the backyard of a Long Beach home on May 4. 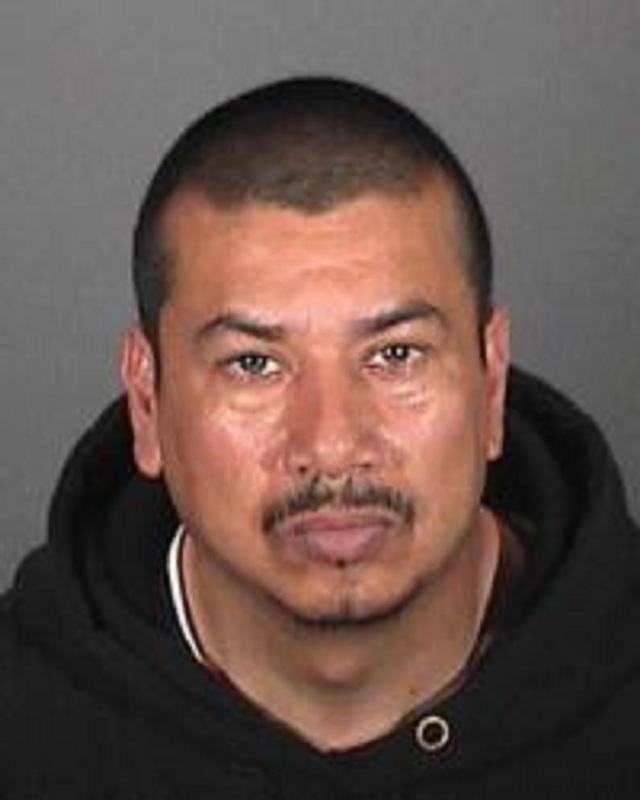 Authorities said home video surveillance captured 42-year-old Jose Jesus Zermeno allegedly climbing over the backyard fence of a residence on the 6700 block of Harbor Avenue and stealing five exotic birds from separate birdcages. A red Ford Ranger truck believed to be connected to the burglary is also in police custody, officials said. The truck was found abandoned in the 2200 block of Cedar Avenue after police became involved in a short pursuit with the driver early Thursday morning when the individual failed to stop, authorities said. The officer had spotted the truck near Wardlow Road and Atlantic Avenue, but the driver was able to evade. Police now seek help locating Zermeno and identifying two additional suspects—including a person who Zermeno allegedly handed the birds to over the fence, and another person who they believe drove the truck involved in the crime. Zermeno is a male Hispanic, approximately 5 feet, 3 inches with a medium build. The second suspect is a male Hispanic, 25-30 years of age, 5 feet, 1 inches to 6 feet and 185-200 pounds. Police do not know the description of the third suspect. If anyone has information about this incident, or knows Zermeno’s whereabouts, they are urged to call the Long Beach Police Burglary Detail at 562.570.7351. For an immediate police response, please call Police Communications at 562.435-6711. Anyone wishing to remain anonymous may call 1.800.222.TIPS (8477), or text TIPLA plus your tip to 274637 (CRIMES), or visit www.LACrimeStoppers.org. 5/6/15 9:58PM | Keeley Smith | Five exotic birds were stolen from a man’s home in northwest Long Beach on Harbor Avenue near Cummings Street on Monday afternoon, the Long Beach Police Department (LBPD) confirmed Monday. According to an LBPD statement, officials responded to a theft report at the 6700 block of Harbor Avenue, near the City of Compton. The resident said five exotic birds were taken from his backyard. The victim posted surveillance images on YouTube. The footage depicts two men stealing the parrots, with one man jumping over a fence and breaking into each individual bird cage and handing them off to the second man, before making a getaway in a red truck. The LBPD said the investigation is ongoing and urge anyone with information regarding this crime to contact the Long Beach Police Department Burglary Detail at (562) 570-7351.